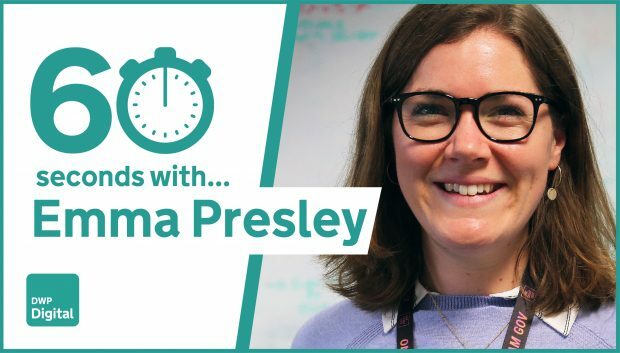 Meet Emma, one of our data scientists at DWP Digital. Tell us about the type of work that you do? I’m part of a research and development team. We use technologies such as R and Hive to provide data and analysis to help service design and delivery of our services. What was your first job in technology? I joined a graduate scheme at a company that used supermarket loyalty card data to help better understand customer shopping habits. I learned to code on the job. What attracted you to DWP? I’ve spent my career so far developing my data science skills in customer insight consulting. So I decided to move to the Civil Service to use my skills for social good, rather than helping retailers sell more stuff! What technology excites you most and why? I’m really excited by the data that will be generated by connected homes. We can use this to describe our lives through energy consumption, therefore better understanding and securing our future energy needs. I’m currently investigating payment outcomes for vulnerable customers, for example those with digital assistance requirements. The aim is to find out where people require additional support throughout their claim so that those requirements can be prioritised. What is one surprising fact that people don’t know about you? I’m a really keen road cyclist – Lycra and all! In the past, I’ve cycled from Geneva to Nice, completing many of the climbs that appear in the Tour de France! I moved from the private sector to the Civil Service to be able to use my skills to help society. I’d love to deliver a data science project that demonstrably improves citizen outcomes. It's a bit cheesy, but I’m inspired every day by my colleagues and their passion for change, subject knowledge and technical skills.